On my last few visits to the fabulous Kudzu Antiques in decatur, Georgia, I’ve found a new booth to admire. Industrial-Chic when you walk inside, turn right and it’s the booth in the far left corner. 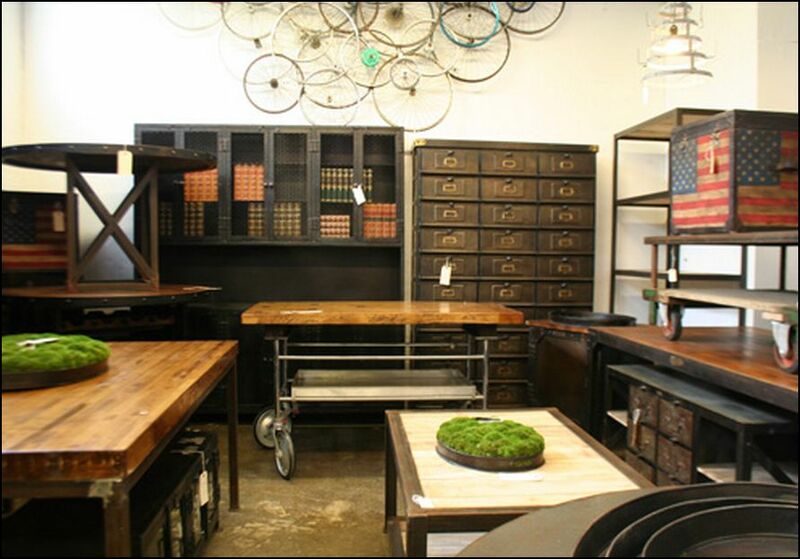 You can spot it easily- big, oversize pieces made of wood, industrial steel and reclaimed items. The colors are dark and rich and there is all sorts of masculine energy running amok here.